Limbic Media specializes in sound reactive lighting for entertainment and events marketing. We also do engineering consulting work: cloud computing, web app development, hardware/firmware design. What is the best perk of your job? Getting to use cool interactive lighting technology whenever I want. What is the best part about doing business in Greater Victoria? Oh man, everything about this city: the people, the tech community, the bike ride to work, the ocean, the trees. Best team-building moment or program you’ve ever experienced? Drunken karaoke. Do you have a business etiquette pet peeve? Timely response to emails and phone calls. What is your business proudest of? The culture and love that we all have together as a team, we rally around art-technology. What was your first job? Making pizza. What is one job you could never do? Hitman. What are you passionate about? Where art meets technology. Favourite place on Vancouver Island? My house in Oak Bay. What do you think is the most important life lesson for someone to learn? We are not in control. What is the best advice you’ve ever received? Good and bad are illusory constructs that we create. Suffering can be mitigated by practicing this truth. And be kind to yourself. Where can we find you on the weekend? In the studio making tracks for my EDM project ‘Distant Grand’ and playing with my daughter. Do you believe in aliens? Yes, statistics say so. What’s your favourite event or festival in Greater Victoria? Skafest shows in the Inner Harbour. Where do you like to eat in Greater Victoria? My wife’s restaurant, Be Love. Capital Iron is a 4th generation family run retail business serving Victoria since 1934. We sell everything from hammers to hot tubs. There’s no store like it! What is the best perk of your job? Meeting people from all over the world. Everyone that knows me says I like to talk. What is the best part about doing business in Greater Victoria? People love to support local businesses and they are proud of Capital Iron being theirs. What project is your business proudest of? No one project, but our charitable contributions that make a difference in the community. What is your company’s greatest strength? All of our staff. What is the one thing no one understands or knows about your business? 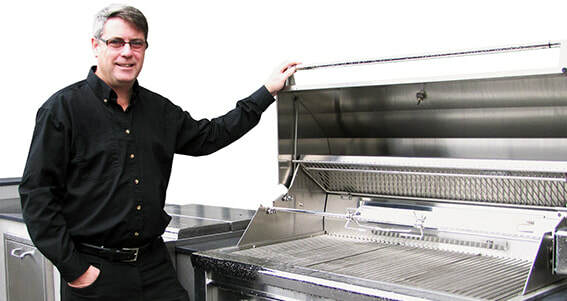 We build a lot of outdoor kitchens, hot tubs and fire pits. What was your first job? Delivering papers. What are you passionate about? Sports, my wife Eveline says if tiddlywinks were a sport I would watch it! What do you think is the most important life lesson for someone to learn? Treat others how you would like to be treated. Where can we find you on the weekend? Capital Iron on Saturdays, with family on Sundays. What did you want to be when you grew up? Grew up?? Where do you like to eat in Greater Victoria? Everywhere, Victoria is a foody place. 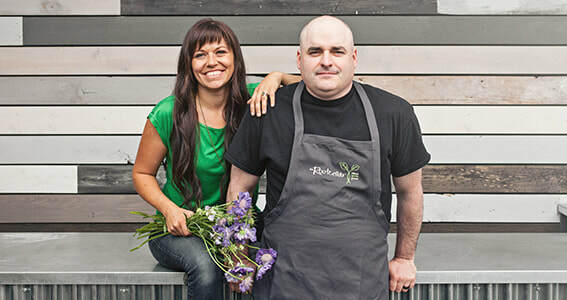 The Root Cellar is Victoria’s local & sustainable food champion. Offering the city’s largest selection of all things local and allowing their customers the comfort of knowing where their food comes from, and the assurance that it was sourced with care. What’s your favourite thing about your job? Getting to do what we love every day, and delivering something that Victoria seems to sincerely appreciate. What is the best perk of your job? Um, THE FOOD. What’s your favourite Chamber event? The Annual Chamber Business Awards. What’s your favourite thing about your job or company? Getting to do things ‘our way’ (our local and sustainable focus) for an audience that GETS IT. What is your business proudest of? Our sustainable business practices and our relationship with the customers & our community. What is your company’s greatest strength? Our relationships. With our farmers/growers/makers & shakers and with our team. We are one big happy family, and believe that the strength of these relationships is a cornerstone of our success. What is the one thing no one understands or knows about your business? That we have relationships with over 250 Vancouver Island & BC Growers, makers & shakers. Buying direct and KNOWING the farmers and producers is something that makes us very unique in this business. What was your first job? We both worked with our families who were entrepreneurs. What is one job you could never do? McDonalds. What are you passionate about? Food sustainability and ethics & integrity in business. Favourite place on Vancouver Island? East Sooke and Tofino. What do you think is the most important life lesson for someone to learn? You can’t do it all. What is the best advice you’ve ever received? Fortune favours the brave. Getting comfortable taking risks has served us immensely and made both life and business way more exciting! Where can we find you on the weekend? East Sooke, or at our kids' (3 boys) sporting events, or cooking, or eating. Where do you like to eat in Greater Victoria? Olo, Ferris Upstairs, Part & Parcel, Nourish, Agrius, Stage, Il Terazzo, Be Love… we have too many amazing chefs to name in this city! We are lucky. If you had a superpower what would it be? Being a morning person. Favourite social media for work/personal? Our customers are loving Instagram right now—it lets us really engage with them and share our excitement for local food.